Book series, no matter how promising, don’t always continue. Authors die or become caught up in other things or just simply write themselves out where those particular characters are concerned. But every now and then a series that you thought dead is fanned to life once again. How appropriate that it would concern vampires. 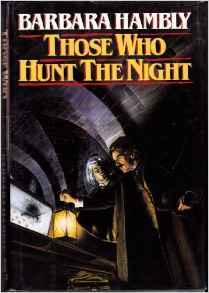 I first came across Barbara Hambly’s work when I picked up her first James Asher novel, Those Who Hunt the Night (1988). 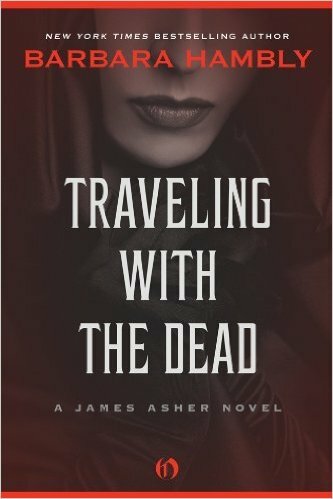 This excellent beginning was followed in 1995 by Traveling With the Dead. Then a long period of “dead air” followed by the publication in short succession of Blood Maidens (2010), Magistrates of Hell (2012), Kindred of Darkness (2014), and Darkness on His Bones (2015). 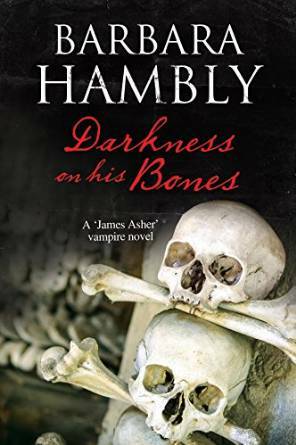 It’s a cliche to say things like “grabs you by the throat” and “sinks its fangs in and won’t let go” about vampire novels, but those two phrases accurately describe the James Asher series. 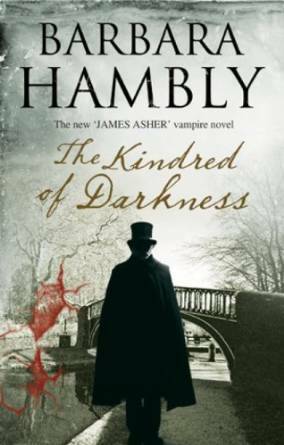 Hambly has a knack for writing gripping openings that seamlessly lead into compelling, multi-layered narratives. James Asher, former spy turned language professor, comes home one night to find his wife and servants unconscious and a vampire in his house. Don Simon Ysidro has come to “hire” (read blackmail) Dr. Asher into acting as a detective. Someone or something is killing the vampires of London as they sleep and Ysidro wants to put a stop to it. Forced to take the case, Asher and his medical student wife, Lydia, soon discover that the truth is much worse than any of them suspect. James Asher left the spy world long ago and heaven knows he has no desire to reacquaint himself with the vampire underworld he unwillingly discovered the existence of, but when he spots vampire Charles Ferren, Earl of Ernchester, talking to a known Austrian agent on a train platform, duty kicks in and he impulsively follows them to France. Trailed by his wife, Lydia, and Don Simon, and accompanied by the Earl’s devoted wife, Anthea, Asher finds himself playing a different kind of Great Game as he seeks to stop foreign powers from recruiting vampire secret agents. This story marks Lydia’s emergence as a co-protagonist. After receiving a disturbing letter from his friend and fellow vampire, Lady Irene Eaton, who then disappears, Don Simon contacts Dr. James Asher who is equally alarmed at the prospect that the Kaiser might be intent on developing an artificial vampire formula. Soon the two reluctant allies are on the road again, this time to pre-Revolutionary War Russia. St. Petersburg is the kind of hunting ground that vampires love–plenty of poor people and no one in authority who really cares if they go missing. So what could the Kaiser–or any government–offer a vampire that would be worth the loss of secrecy that has allowed them to operate in safety all this time? 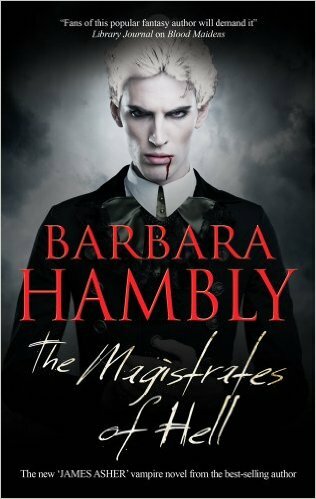 “The Magistrates of Hell” takes James and Lydia Asher out of London and into China where reports of the Others–animalistic vampires who devour animals, people, and vampires alike–have surfaced. Accompanied by James’ old tutor and mentor, vampire hunter Dr. Solomon Karelbach, the Ashers’ investigation is sidetracked when James is asked to investigate the murder of a young English woman inside the Western compound. Was the killer vampire or human? Why was she killed? And what is Don Simon Ysidro doing in China? A look at non-Western vampire culture and the first appearance of James and Lydia’s daughter, Miranda. Friendships between the living and the dead, Don Ysidro says at one point, never end well. He’s very right as Lydia discovers when Grippen, Master of London, kidnaps her daughter, Miranda, and Miranda’s nursemaid. There’s a new vampire in London, killing at will, and the deaths are starting to make un-life difficult for the London nest. Grippen is tough and brutal, but the newcomer is eluding his grasp. Lydia’s job, as Grippen sees it, is to use her detective skills to find the newcomer’s lair via bank and property records. James, Lydia, and Don Simon must use their combined talents to find Miranda and uncover the new Dracula’s hidden agenda. The build up to World War I has been the background to the most recent novels and in this book we see the repercussions of the conflict in the Balkans for the first time. Worth the money just to see Don Simon driving a motorcar. Less than a week after James arrives in Paris, ostensibly for a conference, Lydia receives a cable informing her that James has been seriously injured and is in the hospital. As James drifts in and out of consciousness, Lydia and Don Simon attempt to unravel the sequence of events that nearly killed him. Is there really a talisman in the Paris nest that will give the possessor control over other vampires? Meanwhile, World War I has broken out and German troops are advancing on Paris. If Lydia can’t get her husband out of the city, James will be taken up and executed as a spy. The most sophisticated entry in the series so far, Darkness on His Bones, shifts backwards and forwards between James’s and Simon’s past memories. 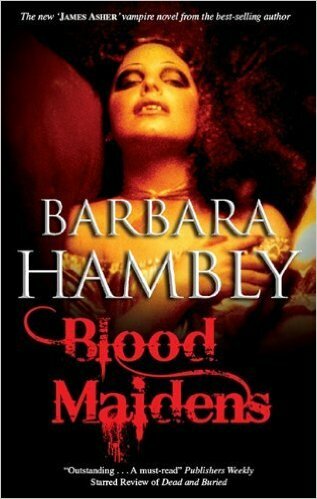 I highly recommend this series if you enjoy both historical mysteries and well-written “old school” vampires. I guess this is where all the Hogwarts student gas up their broomsticks …..